While Enterprise has long been known for providing excellent customer service, it faced a huge challenge after buying National and Alamo in 2007. Among other things, it had to integrate different cultures, manage a varied workforce and meet the needs of a much larger and highly divergent customer base. 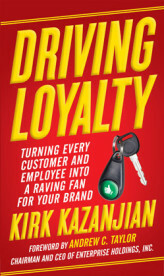 Driving Loyalty provides a blueprint that businesses of all types can use to create a high-performing work environment, deliver exceptional customer service, build strong brands, market effectively online and off, and, in turn, power overall performance. Exceeding Customer Expectations marked the first time Kirk took readers inside of Enterprise’s amazing operation. This book imparts timeless lessons on satisfying both customers and employees that can be put to use right away, no matter what your business or industry. What strategies have made Wall Street’s top investors so successful? What are their biggest mistakes and proudest accomplishments? How do they invest their own money? And what are the keys to finding the best stocks and bonds? The Market Masters features one-on-one interviews with 18 of the world’s leading mutual fund managers, representing a variety of different styles—from growth gurus, value masters, bond wizards and international globetrotters to specialists in such market sectors as technology, healthcare, financial services and real estate. All have demonstrated track records for consistently outperforming the competition. In The Market Masters, these managers speak frankly about their proven strategies for beating the market in both good times and bad. 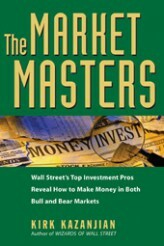 Kirk has also written several other books highlighting the secrets of top investors, including Wizards of Wall Street, Value Investing with the Masters and Growing Rich with Growth Stocks. Mention the words “Krispy Kreme” and people start licking their lips. The company inspires such loyal customer devotion that new store openings routinely cause traffic jams and attract widespread media attention. How was Krispy Kreme able to build such a successful brand and business, especially since it spends almost no money on advertising? And what can other businesses do to emulate Krispy Kreme’s amazing accomplishments? 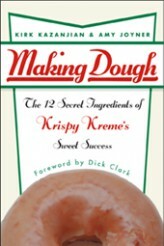 You’ll find the answers in Making Dough: The 12 Secret Ingredients of Krispy Kreme’s Sweet Success. Through exclusive insider interviews and colorful stories, you’ll go behind the counter to learn how this organization managed to maintain a wholesome, small-town image, while achieving phenomenal success through a mixture of customer loyalty, high product standards, technological advancements and community involvement.